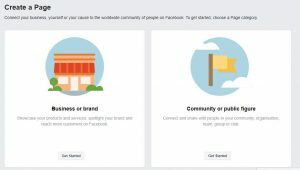 HomeBlogFacebookHow to promote local business on Facebook? Every day 1.13 billion people use facebook. If you have a local business then facebook is the best place to promote local business. 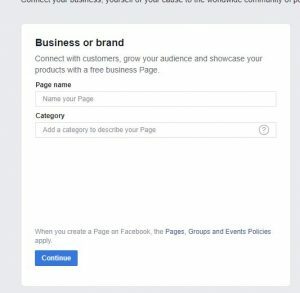 You can promote your product directly from Facebook. If you want to promote local business only through digital then Facebook can be a great platform to drive business to your store. If you want online paid promotion then you can use facebooks ads to drive engagement and traffic to your business. Facebook is a biggest and freely available platform through which you can promote and sell your good and services to many peoples. You can promote local business on Facebook with so many ways. Here are some ways through which you can get traffic and increase your sales. And enter the category which will describe your business. Click on continue and then add your business logo and cover page. Only creating a page is not enough to for promotion. You have to show your products and services to your customers. For that, you can share your updates, photos, videos, promotions and a lot more to your followers. You can also share your page on your friends and colleagues timeline so that your friends of friends will also aware of your products. What’s the benefits if no one can see your posts and your products. You have to add some friends and also followers to your profile and page. When people liking your page they can see your latest updates. You can invite your friend to like your page and also email your friend to follow your page. 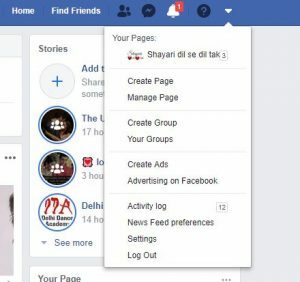 You can also share your posts with your friend timeline or other facebook groups so that people can like or share your page with others. You should make your post eye-catching to your followers that’s why they get to engage with your posts. If you can’t do it then you will lose your customers and visitors. Build trust with your followers and talk with them about your product indirectly because people do not like direct selling. With your post, it will be necessary to show your products images or videos. Because it builds trust about the product. Trustworthy things work better. Post with images can work better than the post without images. Every time you post about your product keep in mind that adding the related image of the product because it engages customers and create interest. People who never engage in your post there is no need to invite them to like your page. because it is a waste of time and hurt your page also. If you want to get likes organically then keep sharing posts and videos on your page. Facebook also provides a feature of promoting page likes. You can use this feature to get like on your page without wasting time. 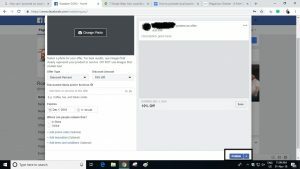 You just have to pay some amount to the facebook and get like on your page instantly. You can engage your users by starting a contest on facebook. People always love to participating and winning. Before some time run a contest on Facebook is challenging and time-consuming with an app. But now you can run a contest on Facebook. You just have to simply post a text update with a contest or post one with a photo. 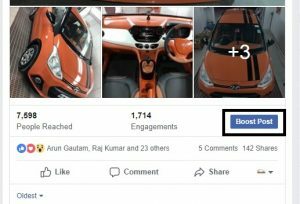 You can promote local business with Boost post feature provide by facebook. You can get more reach and engagement instantly by using this feature. You just have to post an update on Facebook and then click boost post. You have to set your budget and location accordingly. Facebook will take some amount then your post will be shown to many users in your targeted area. If people like something or see something interesting on facebook they want to discuss it with experts. People also have some confusion about some of your product. So they try to contact you. Make your ways to contact is easy for users and customers. It is another way to increase visitors and sales. People always love discounts and also it engage visitors. You can give an offer to your visitors to some product. To do that you just have to go to your page and click on more icon. Then you can an option of offer/discount. Just click on offer/discount and add the details and click on publish. It will become live to your visitors.